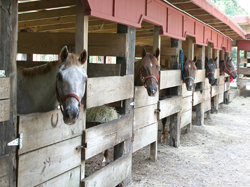 Boarding – Kelly Seahorse Ranch, Inc.
We now offer short-term boarding for outside horses. This is the ONLY place in Florida to board your horse on the beach with only an 8-minute trail ride to the ocean! All riding must be done during ranch business hours 8am to 6pm (although including Mondays) from September through March during off-peak times. For safety, all boarder riding must be independent of KSR scheduled business tours. All riders must obey local laws regarding beach horseback riding at all times so we can enjoy our activities for years to come!